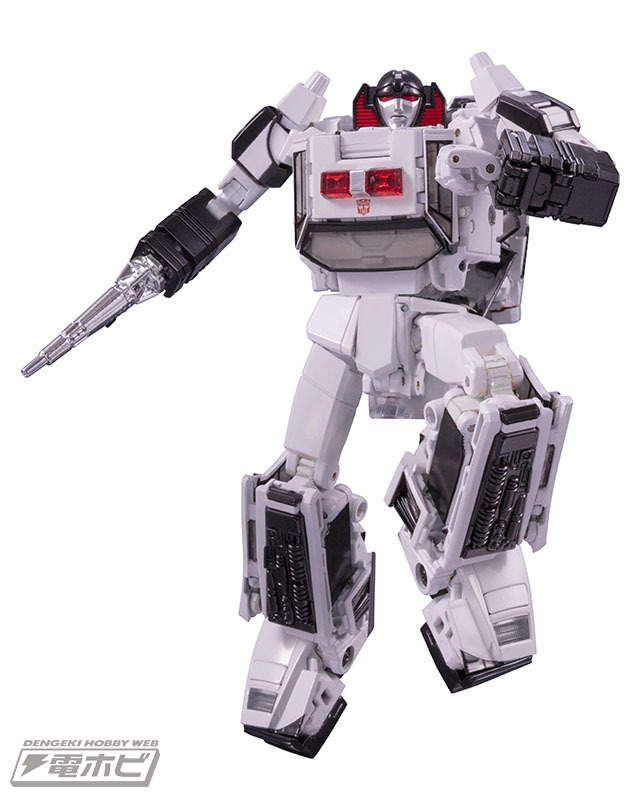 More images of Masterpiece MP-42 Cordon have been posted on Dengeki Hobby. These images show off both of Cordon’s modes views from the front, back and sides, but more importantly, they also show off Cordon with the silver arm cannon attached over the wrist, confirming that this weapon can emulate the look of the original Diaclone toy which had the option of replacing the fist with a missile. There are also a couple of nice comparison shots, one of the two vehicle mode configurations next to each other, and a shot of Cordon next to fellow police Autobot Prowl &#187; Continue Reading. This guy looks very Decepticon to me. It's over 200 Canadian base price! Gtfo! Where are you seeing over $200 CAD? A3U has it listed at $185 CAD + tax. The usual Japanese etailers are about $150 before shipping.